Domaine des Lauriers - Cabrol - owner and wine grower at Castelnau de Guers (Hérault). The Cabrol family welcome you to the Domaine des Lauriers and invite you to explore their range of fine Southern French wines, touched by the magic of the Mediterranean, the lake of Thau and the fragrantly scented Languedoc garrigues. You will love our new AOC Coteaux de Languedoc, an assemblage of Piquepoul and Vermentino (Rolle) grapes. 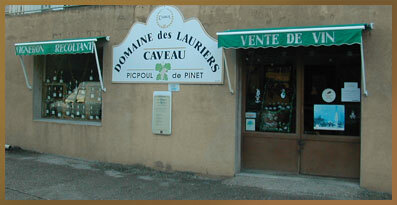 And do check out our AOP Appellation d'Origine Protégée Languedoc Picpoul de Pinet (AOC) wines. A range of varietal, dual varietal and assemblage wines: Vins de Pays PGI Pays d'Oc (Protected Geographical Indication) ranging from Viognier, Terret, Chardonnay, Syrah, Mourvèdre, Cinsault, Carrignan to Petit Verdot, to name the main grape varieties. A note of greater intimacy for our Tempranillo IGP Vin de Pays d'Oc, with its arresting aromas. The Terra Vitis chart of sustainable high environmental value viticulture was born of a joint initiative by wine growers and Chambers of Agriculture and defines the framework and implementation of rules designed to ensure environmental impact-free agriculture. Safeguarding and preserving the environment and the "terroir" are essential to the long-term achievement of sustainable and reasoned agriculture. What is "reasoned agriculture"? Reasoned Agriculture is a concept of sustainable agriculture which translates, in terms of individual farms, as the implementation, throughout the entire agricultural holding and regardless of the type of produce grown, of technical methods promoting environmental protection and the control of health and occupational safety risks. 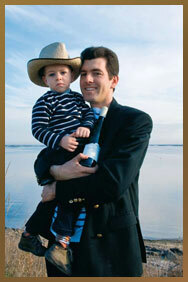 Estate grown, family-owned wines made using environmentally-friendly methods from grapes flourishing in a special micro-climate on a wide variety of outstanding "terroirs" to create unique wines uniquely for you. Monday to Friday, 9.30 a.m. to midday and 2p.m. to 6 p.m.